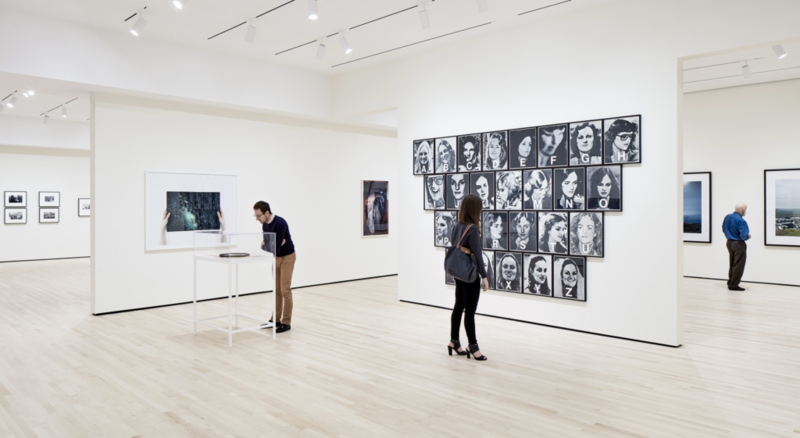 One of the first museums to recognize photography as an art form, SFMOMA has more than 17,800 photographic works, dating from the advent of the medium in 1839 to the digital images of today. Deepening and expanding our commitment to photography, the new Pritzker Center for Photography nearly triples the space dedicated to photography, filling the majority of the third floor. Encompassing fifteen thousand square feet, the Pritzker Center is the largest space permanently dedicated to photography in any art museum in the United States. The center includes enhanced permanent collection galleries and new special exhibition galleries, along with a study center and the Photography Interpretive Gallery. Our innovative Photography Interpretive Gallery lets you experience photography in a whole new way. Through interactive exhibits, you can explore how photography shapes perceptions of California, create a portrait of yourself without showing your face, and more. Support for the Pritzker Center for Photography is made possible by the Lisa and John Pritzker Family Fund. The Photography Interpretive Gallery is generously supported by the McEvoy Family. Additional support is provided by Nion McEvoy; a major grant from the National Endowment for the Humanities: Exploring the human endeavor, and the Institute of Museum and Library Services. SFMOMA’s Digital Initiatives are generously supported by Bloomberg Philanthropies. Learn more about our photography collection.